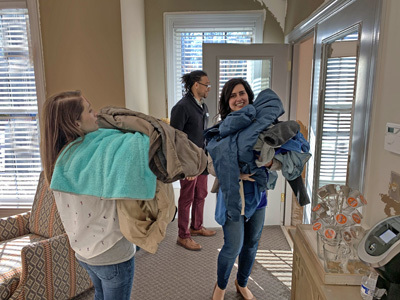 Dozens of coats, sweaters and blankets were delivered by Cook & James employees to the Atlanta Day Shelter at the Atlanta Mission as part of the real estate attorney firm’s “Acts of Kindness Jar.” The firm, which pioneered at-home closings, launched the new community relations initiative thanks to the jar that sits in the firm’s reception area waiting to be filled with ideas for a community good deed or an act of kindness; each month one idea is fulfilled. 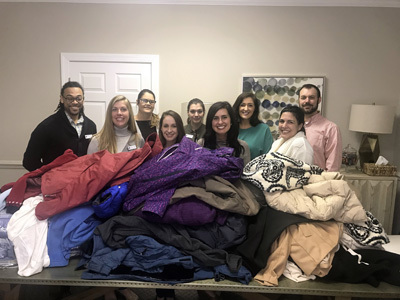 Joan Giles of The Giles Group Atlanta submitted the idea, and the firm’s Alpharetta- and Roswell-based marketing team took the clothes and blankets to the Day Shelter to not only deliver the items but to learn about the mission’s outreach programs and potential future volunteer opportunities. 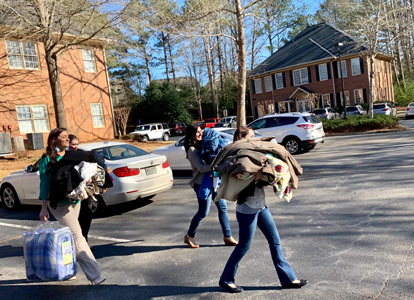 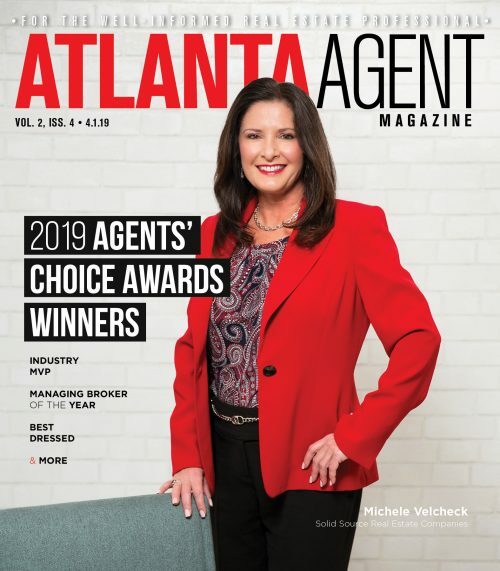 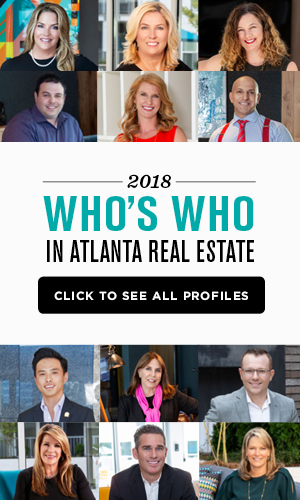 Cook & James’ virtual employees also joined, collecting and delivering in cities where they live, including Pittsburgh, Denver and and the Hunstville/Decatur area of Alabama.